A more systemic approach is necessary to achieve gender equality in science, technology and innovation | The Forum Network, hosted by the OECD: Shape ideas. Shape policy. Shape the Future. The many reports on women in science tend to share a future vision for a world in which there are equal opportunities for women to enter, contribute and progress in all scientific disciplines without prejudice or bias. This implies a more diverse, productive and attractive research enterprise, which fully recognises and rewards the equivalent and distinct contributions of both men and women. Clearly, achieving this vision is still a long way off, which is further complicated by the major transitions that science and innovation are currently undergoing, including digitalisation and the increased focus on societal challenges. The under-representation of women in certain areas of science, technology and innovation (STI) has long been a concern. As the benefits of diversity in STI – both in terms of research excellence and relevance – become clearer, most countries are implementing policies to try to address gender equity. However, issues such as gender stereotypes and evaluation bias are embedded in research systems, and are resistant to simple interventions. Policy actions to promote gender equity in STI tend to focus on feeding the pipeline for STEM subjects and providing support for individual women scientists at various career stages; some seek to address the underlying causes of gender imbalance. However, the overall picture shows a fragmented approach, characterised by multiple institutions acting independently, and limited co-ordination between education, science and innovation actors. There is little systematic evaluation of the effectiveness and sustainable impact of the many interventions under way. In some cases, this will require developing new indicators and measures, presenting important opportunities for mutual learning across different countries and developing communities of practice. Addressing gender inequalities in STI will require a strategic and systemic long-term approach. 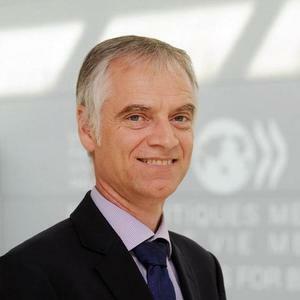 Policy actions are necessary on several fronts to: 1) continue to monitor and address long-term challenges in scientific education, training and careers; 2) ensure that digital education and training strategies provide full and equal opportunities to girls and women, and do not enforce traditional gender stereotypes or introduce digital discrimination; and 3) ensure that the contribution of all disciplines and supporting professions is fully recognised, valued and rewarded in the transition to open science and greater transdisciplinary research. 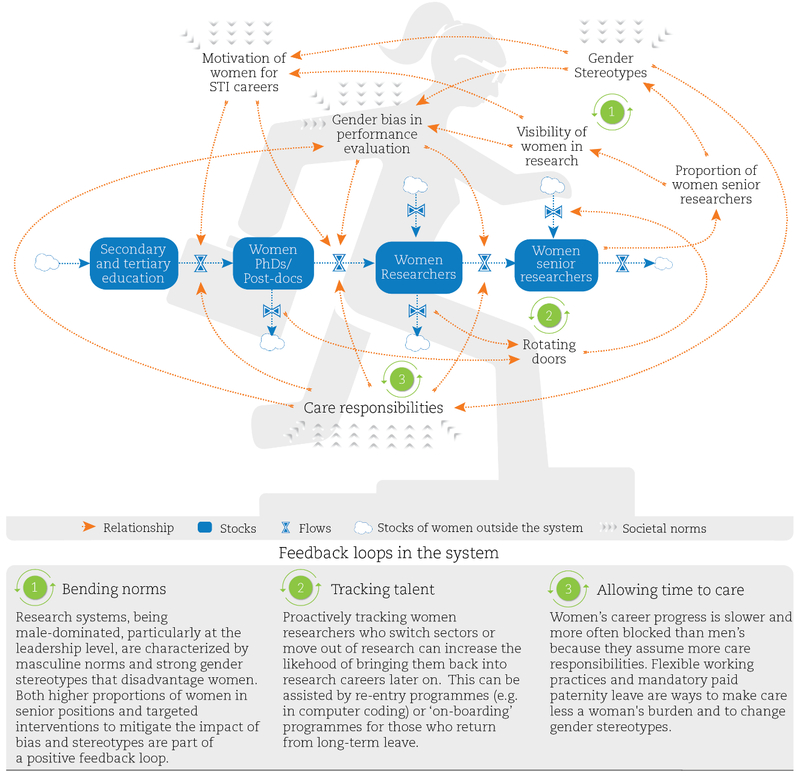 There is a need for strategic thinking and targeted interventions that will create positive feedback loops to strengthen the position of women within STI systems as a whole (see figure below). Source: OECD (2018), OECD Science, Technology and Innovation Outlook 2018, OECD Publishing, Paris, based on a participatively developed system dynamic model of gender inequality at a technical university, Bleijenbergh & Van Engen (2015).